Facilities in both Lossiemouth and Cullen were closed last summer as part of Moray Council’s cost-cutting measures despite protests from locals. 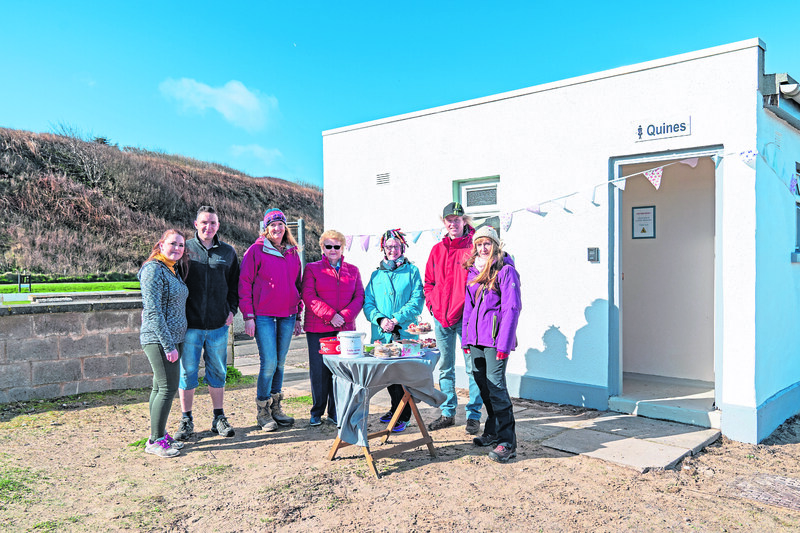 However, the public loos at Cullen West Beach were officially re-opened this weekend after being shut since July, just in time for the start of the busy tourism season. Thousands of visitors travel to the scenic beauty spot every year to enjoy the stunning beach and views along the coast from the hill and viaduct. And the Cullen Amenities Group have been fundraising to re-open the beach toilets in a bid to keep the tourists in the area longer. Volunteers have given the facilities a new lick of paint, fixed some of the structural problems and installed new signs for loons and quines. Group member Julie-Ann Drake believes that everyone is “over the moon” with the toilets, with murals to be painted on them by a local artist to make them even more appealing. She said: “We were angry that they were being closed in the first place because they are so important to business, people who visit and residents, so it is a relief they will be opened again and I’m really happy everyone pulled together to do it. Re-opening of the Cullen Links toilets. The group’s fundraising efforts are continuing, with donation boxes set up at the facilities. In Lossiemouth, meanwhile, the community are opening their Station Park toilets to the public today. 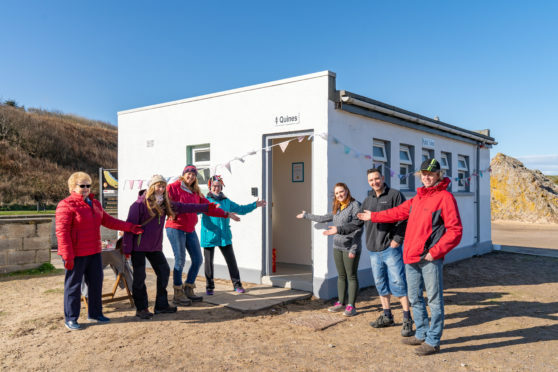 Another busy coastal resort, the loos was kept open last year until the winter under the management of locals and volunteers are once again running them. They have raised £1,000 so far and are continuing fundraising efforts by placing donation boxes at various businesses in Lossiemouth. Lossiemouth Community Council vice-chairwoman Carolle Ralph said: “We are hoping to make some more money that would allow us to keep them open all-year round.